All Posts Tagged With: "Drew Barrymore"
Drew Barrymore wears Malandrino for her appearance on The Late Show with David Letterman, August 24, 2010. During her appearance on The Late Show with David Letterman Drew wore, Malandrino’s hoop earrings with citrine and pyrite stones from the Malandrino Holiday/Resort 2011 collection. Do you love? Drew Barrymore’s Style: Drew Barrymore looked stunning last night at the Los Angeles premiere of Going the Distance. Drew wore a gold brocade strapless gown and hoop earrings with citrine and pyrite stones both from the Malandrino Holiday/Resort 2011 collection. Do you love? Celebrity Hair Watch: Drew Barrymore got roots! Drew showed up with this hair color to the Going the Distance premiere in London, August 19, 2010. The roots seem intentional and a take on the ‘Brazilian Beach Blond‘ look, or as they call it in Brazil (so I’ve been told): ‘The California Beach Blond’. Whatever you want to call it, do you love? Shimmer into Summer with Redken’s NEW Color Gels Gold Beige Collection. Now Redken Color Gels is even more versatile and amazing! The new Color Gels Gold Beige Collection gives you three rich shades to create sophisticated, soft golden tones that are never too warm. This versatile, reliable haircolor provides exceptional gray coverage, from a few strands to high percentages of gray. BEST DRESSED: Drew Barrymore chose a very Avant Garde gown to the the 2010 SAG Awards and I approve. Drew looks very elegant and mature these days and it works. Everything was kept simple around the gown: hair was up, not much jewelry, and light makeup. With a dress like that you really don’t need anything else! Drew Barrymore at the 2010 SAG Awards: Do you love? On Sunday night, Hollywood’s A-listers showcased several of spring beauty trends on red carpet at the 67th annual Golden Globe Awards. 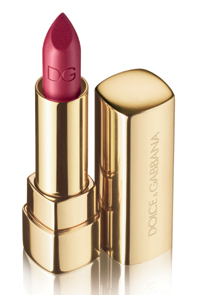 GET THE LOOK: Winners Drew Barrymore and Chloe Sevigny, as well as actress Maggie Gyllenhaal donned a refreshing combo of berry-stained lips and rosy cheeks, perfect for spring. 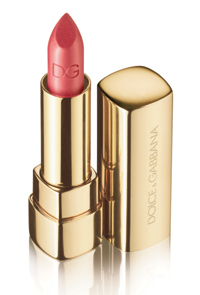 To try out this look, try (see images below, from left) the Dolce&Gabbana Classic Cream Lipstick in Sublime or Dolce&Gabbana The Shine Lipstick in Ruby. 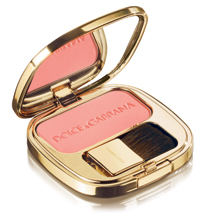 On cheeks, dust on the Dolce&Gabbana Luminous Cheek Color in Rose for a subtle, radiant glow. I can’y get over how pretty Drew Barrymore looks on the cover of InStyle October 2009 issue! Drew’s new blonde hair color looks amazing on her. She looks best blonde imo. Maybe beacuse blonde was the hair color she was born with. I do rememebr Drew to be very blonde back in her ET days. Wow it’s been so many years already!! Tell us what you think: Do love Drew Barrymore’s look on the cover of InStyle October 2009 issue? As temperatures begin to cool down outside, so will haircolor this fall/winter season with more sophisticated cooler brunettes and blondes. Tracey Cunningham, Redken Creative Consultant for Color, and David Stanko, Haircolor Consultant for Redken, have the latest in fall haircolor trends, professional haircolor products to achieve these trends, and consumer tips to communicate with their colorist and to adjust to the “coolest” looks of the season. Stars prove that you don’t have to be at Nikki Beach to flaunt a St. Tropez tan. Natasha Bedingfield and Kim Kardashian have both revealed how they remain fashionably tanned all year round. Thanks to St. Tropez Tan, Natasha and Kim are able to sport their healthy glows and beautifully sunkissed looks wherever and whenever they want! St. Tropez remains to be the world’s expert on safe and sunless tans, which leaves skin looking bronzed without any exposure to the sun’s harmful rays. Since its introduction in 1996, St. Tropez has become the market leader in self tanning – a brand now synonymous with odorless self tan treatments attracting press acclaim and celebrity endorsement. Natasha Bedingfield loves St. Tropez so much that she included a St. Tropez custom spray tan as part of her recent pre-wedding beauty regimen.